Amy Pond - 6x13 - The Wedding Of River Song. . HD Wallpaper and background images in the Amy Pond club tagged: amy pond doctor who karen gillan series 6 episode 13 screencaps. 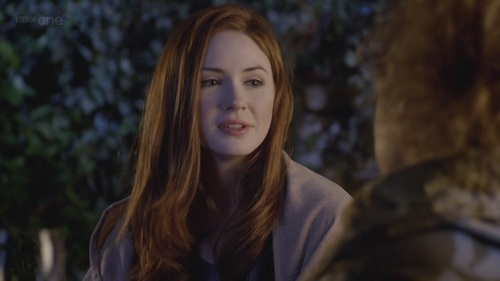 This Amy Pond Screencap contains প্রতিকৃতি, ধনু, and চতুর. There might also be outerwear, overclothes, overgarment, বাইরের পোশাক, and বক্স কোট.